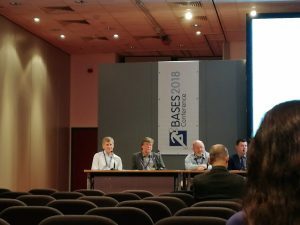 The BASES conference 2018 took place on 27-28 November at Harrogate Convention Centre. 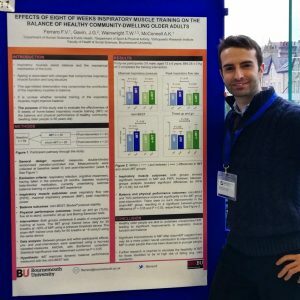 Thanks to my supervisors Professor McConnell, Dr Gavin and Professor Wainwright and with the support from Bournemouth University I had the possibility to present my research titled: The effects of 8 weeks of inspiratory muscle training on the balance of healthy older people: a randomised, double-blind, placebo controlled trial. Figure 1. You can now read what happened and look at the media from the conference clicking the twitter button right below. Personally, I found extremely interesting the talk of Professor Steven N Blair, Professor Ken Fox and Professor John Buckley (Figure 2). They explained, thought direct experiences, how sports science has evolved and what we (including physiologists, kinesiologists, strength and conditioning coaches) should consider when developing research proposals. One of the many take-home points was that sports science is today considered science for/of health and that is crucial to seek collaboration between researchers and the community. Paraphrasing a famous quote from J.R.R. Tolkien, it is from the ordinary folks that research questions arise. Professor Steven N Blair, Professor Ken Fox and Professor John Buckley discussing the past, the present and the future of sports science. Concluding, it was a motivating experience, and I was pleased to receive many questions about my research. Definitely, a conference worth to consider also for the next year. Follow up with the oral presentations and free communications. I found particular interest in the research of Mr Chynkiamis on the effect of VitaBREATHE on exercise tolerance in COPD patients and in the feasibility study of Miss Thomas on the effect of 10 weeks postural stability exercise on balance in elderly care homes residents. I am glad that I had the chance to discuss with Miss Thomas part of the outcomes and the methods she used for my undergoing research on falls prevention. 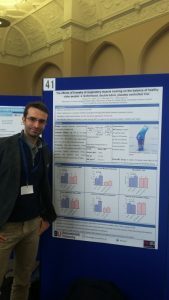 Later in the afternoon, I had the opportunity to talk more about inspiratory muscle training (IMT) with Mr Hopkins and Mr Gibb who are looking at the effect of IMT on time trial performance in trained cyclists. After, the workshop “psychological challenges for physical activity uptake” by Dr Melissa Fothergill intrigued me as I believe it is a crucial matter of discussion, especially if working with frail populations. 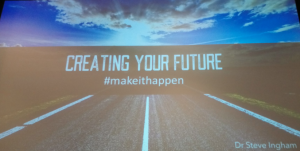 The final motivational lecture titled “creating your future” by Dr Steve Ingham closed the 2018 BASES student conference with tips and advice on how to progress in the sport science carriers. Concluding, it was a great experience as not only I had the chance to improve my network and meet peers with a similar background as mine but most important because in these two days I had increased my awareness and motivations. A special thanks go to my supervisors Professor Alison McConnell, Dr James Gavin and Professor Tom Wainwright who pointed me at this event. 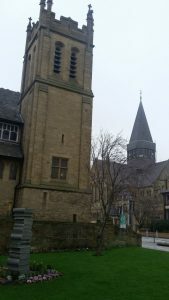 The conference is now over, and by the time you read this post, I will be already on my way back to Bournemouth. I would like to thank Davon, Sacha and all the BU staff for this interview, it was great, and I really hope that helps to have more people involved in public engagement activities. Following the full script of the interview. My name is Francesco Ferraro, and I am a PhD Student here at Bournemouth University. Currently, I am working on a project which aims to understand the effects of inspiratory muscles training on balance and functional mobility for healthy older adults. The goal is to develop an innovative and effective training for falls prevention. Before arriving here at BU, I obtained a Bachelor Degree in sports science from University of Rome Foro Italico while in the meantime I was working as a football coach and after I moved to Naples for complete my Master Degree in sports science prevention and wellness. There I worked on motion analysis in young adults, while in the meantime I was a trainer of the Italian Federation of Weightlifting. Could you tell us your favourite public engagement opportunity at BU? It is hard to tell, I have enjoyed all the events in which I took part including Pint of Science, Café Scientific, The Festival of Learning, lecturing at University of Third Age and others.I gained something from each of them, and I gave something at each of them. But if I have to pick one, and only one I would say the Festival of Learning. Among all the events FOL is the one who gives you the opportunity to meet all kind of people. You have the opportunity to explain your research to a very young audience, as well as people with excellent knowledge in your field, while surrounded by members of the BU Staff, BU students and colleagues that are there to help you and motived you. Why do you find public engagement a good asset to both your research and the community? My study aims to understand the effect of inspiratory muscle training on balance and functional mobility. My final purpose is to develop a strategy to prevent falls accidents in people over 65. Therefore it is a research for the community as any other research, especially in health and social science, is done for the people. Hence what would be the point to work for the community and do not explain to them what you are doing? As researchers we have the opportunity to share with others much more than a picture on Twitter, or Instagram, we have the opportunity to share knowledge, ideas and instead of likes, we will have more questions, more curiosity and the chance to give to the audience our ideas. At Café Scientifique, the public was really engaging in the fact your research was trying to better the wellbeing of the older generation. Why do you think people are so engaged in your research? At Café Scientifique I was able to give to them my idea. Instead of explaining right away what my research does I told them the idea behind it and why is important to research on it. The reason why we had a great respond must be sought in my past years of work in the public engagement. Any research is fascinating in is way, but is crucial to share it with others, not only peers and experts but also with the people for which the research is done. You use your public engagement to advertise the need for participants in your current research, is this an effective way of getting the participants you need? Yes, it is. But it is not the reason why I do public engagement. I have been introduced to public engagement by my supervisors: Alison McConnell, James Gavin and Thomas Wainwright with the aim to share what learned and discuss it with others. If you were to advice new researchers about public engagement, what would you say to them? Do it if you want to do it. Public engagement is not easy especially if you do it because you “have to”. Do it if you want to share your research if you want to challenge yourself, if you want to meet the community then you will make a great event. You must have the right motivation if you do it just to “hunting” participants it won’t be neither correct or fun, and people will understand, with the result that you and your research will lose trust. What do you gain most from public engagement? Motivation – to work more for the community, to help people to learn and understand what we are doing here at the BU and how it helps their wellbeing. Confidence – have the opportunity to talk to 50, 100 or even 200 people at each event, has grown my confidence inside and outside the University. Knowledge – I do believe that everyone has a story to tell and you can learn a lot from it. I am always surprised at the questions that I receive. People curiosity drives my curiosity as well and helps me to think and re-think at my research. I do have a couple of projects going on, but I will take part in the next Festival of Learning (third year in a row), and I will see what other opportunities the public engagement team will give to us. Increasing publication impact – Using social media, e.g. 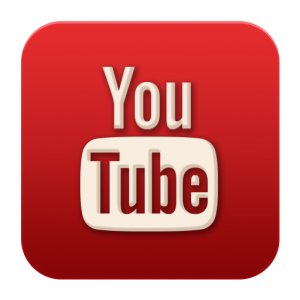 Twitter, blogs, YouTube, social networking, etc. 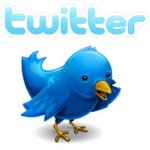 Twitter – Twitter is a micro-blogging service that enables its users to send and read messages known as ‘tweets’. Academics are increasingly promoting their research papers via Twitter, which are then picked up by other researchers and practitioners. Senders can restrict delivery to those in their circle of friends or, by default, allow open access. Twitter allows you to set up search terms to enable you to monitor what is being talked about in your areas of interest. You can then comment on the relevant conversations. The more you engage, the more people will follow you to listen to your comments and recommendations. 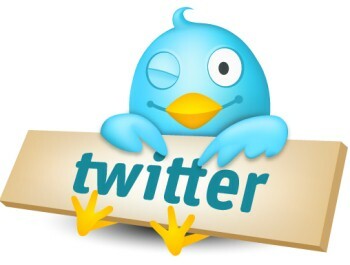 As followers come to you, rather than you approaching them, Twitter is an ideal way to reach new audiences. Research indicates that highly tweeted articles were 11 times more likely to be highly cited than less-tweeted articles. Top-cited articles can be predicted from top-tweeted articles, with 93% specificity and 75% sensitivity (Eysenbach, 2011). 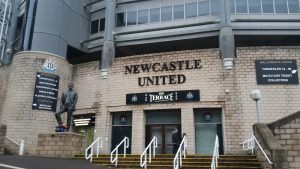 Blogs – Academics who blog about their research regularly report positive outcomes, such as networking and collaboration, finding new audiences and opportunities, disseminating research more widely, increasing citations and downloads, and building reputation. Bloggers argue that far from diluting scholarly success (as has been suggested by some academics), online writing can be a serious tool for academic practice. Blogging should be seen as part of a programme of dissemination and collaboration, and is best used alongside traditional academic outlets (such as journals) as a means of amplifying the reach, and potentially the significance and future direction, of the research. Research indicates that blogging about a research paper causes a large increase in the number of abstract views and downloads in the same month (McKenzie and Ozler, 2011). Your area of research and papers that you have published – and/or other related papers in your field of research. Link to the full-text article/DOI for maximum impact. Conferences and training events that you’re due to speak at. Your last conference – were there any interesting questions that came up? Your opinions about any recent press coverage of your subject area. You can also ask your colleagues and co-researchers to add posts to the Blog and comment on your own posts to stimulate debate. All staff at BU can have access to add their own posts to the Research Blog. Just email me and I will set you up with access. Join academic social networking sites – Academics are increasingly using social networking sites to meet and converse with people who share similar research interests. Examples include: MyNetResearch, Academia and Academici. 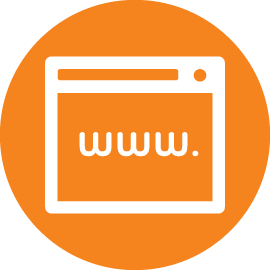 On these sites you can see what other people are discussing and what issues are pertinent in your field of research. If you have undertaken research in these areas then you can contribute and share your research findings, which in turn should increase the citations/downloads of your work. Sharing research with the world is becoming ever-more important with the new criteria in REF. When trying to reach large audiences, Twitter is a must-use tool – a shared (“retweeted”) message in Twitter reaches an average audience of over 1,000 people. To help you share and develop your research using Twitter, BU is hosting workshops on how to use and make the most of the tool. Even if you’ve never used Twitter before, attend one of these sessions to learn how to create your account with an enticing profile, compose engaging messages (“tweets”), interact with academics, businesses and organisations in your field and sow the seeds of impact for REF assessment using Twitter. Register for your place on one of the workshops here. Master the art of using Twitter to enhance your research profile, impact and visibility! Those of you who are regular visitors to the Blog will be aware that we regularly promote the benefits to academics of using social media channels, such as Twitter (read our previous Twitter posts here). The Training Gateway are hosting a ‘Twitter Made Simple’ workshop in London on 14 June to help those new to Twitter to master the art! The Research Development Unit has funding available if you would like to attend. Please contact Julie Northam if you are interested. It’s a long way in place and time from October 2010 in the Media School to March 2012 at the International Public Relations Research Conference at the University of Miami in sunny Florida. 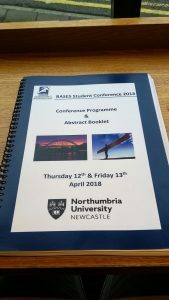 That’s the journey that BAPR graduate Lauren Willmott has taken from first thoughts on her dissertation to presenting the results at the conference, along with academics and practitioners from 24 countries and over 100 other papers. 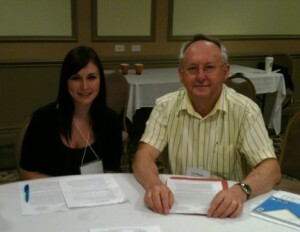 Lauren’s research on the use of Twitter as a crisis communication tactic was supervised by Prof Tom Watson. It reviewed two transport crises in 2009 and 2010 and investigated the role and usage of the 140-character medium in keeping passengers, their families and the media abreast of the news. The investigation won her the Wessex CIPR award for the best public relations dissertation and also helped Lauren gain a position at the leading international PR consultancy A&REdelman in London where she works on Olympics-linked accounts. The firm also sponsored her attendance at the conference. “Lauren’s achievement in presenting her paper at this high international level shows that BU students, with supportive supervision, can share the stage with the best researchers. It’s been a rewarding experience for everyone involved,” said Prof Watson. Twitter has a lot to offer academics! We’ve previously added posts about the benefits of using Twitter in academia (you can read theme here: Twitter posts). A recent post by Mark Carrigan on the LSE’s Impact of Social Sciences Blog outlines what academics can get out of using Twitter and why the academic twittersphere is no different from presenting to an audience. Academics all over the world are turning to Twitter to support their research and are finding the service extremely useful. Read Mark’s full story and our previous Twitter posts to find out how to start using Twitter, meeting new people, estblishing / joining networks, promoting your research and increasing its visibility, and keeping ahead of the game. If any of you are already using Twitter to enhance your research and knowledge exchange activities, we’d love you to share your experiences with your colleagues via the Blog! Back in August, Susan added a post to the Blog on using Twitter (Get tweeing: how to make an impact with Twitter) which listed a number of excellent tips for using Twitter to make an impact in academia. Following on from this, the LSE’s Impact of Social Sciences Blog has listed a number of things you can do when using Twitter to promote your research. 1. Tweet about each new publication, website update or new blog that the project completes. To gauge feedback, you could send a tweet that links to your research blog and ask your followers for their feedback and comments. 2. For tweeting to work well, always make sure that an open-web full version or summary of every publication, conference presentation or talk at an event is available online. Summarize every article published in closed-web journal on a blog, or lodge a full-text version or an extended summary on BURO, our institutional repository. 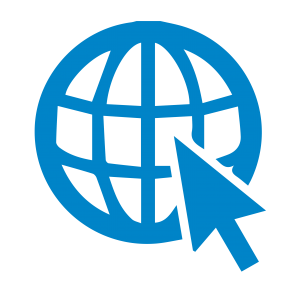 In addition, sites like www.scribd.com are useful for depositing open web versions. 3. Tweet about new developments of interest from the project’s point of view, for instance, relevant government policy changes, think tank reports, or journal articles. 4. 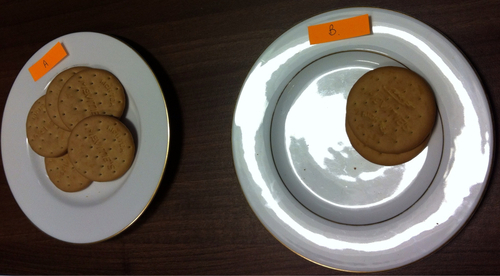 Use hashtags (#) to make your materials more visible – e.g. #phdchat. Don’t be afraid to start your own. 5. Use your tweets to cover developments at other related research sites, retweeting interesting new material that they produce. This may appear to some as ‘helping the competition’, but in most research areas the key problem is to get more attention for the area as a whole. Building up a Twitter network of reciprocating research projects can help everyone to keep up to date more easily, improve the standard and pace of debate, and so attract more attention (and funding) into the research area. 6. Twitter provides many opportunities for ‘crowd sourcing’ research activities across the sciences, social sciences, history and literature – by getting people to help with gathering information, making observations, undertaking data analysis, transcribing and editing documents – all done just for the love of it. Some researchers have also used Twitter to help ‘crowdsource’ research funding from interested public bodies. 7. Reaching out to external audiences is something that Twitter is exceptionally good for. Making links with practitioners in business, government, and public policy can happen easily. Twitter’s brevity, accessibility and immediacy are all very appealing to non-academics. At the end of each month, Twitter can be used as a painless metric to assess how your tweeting is working for you and your project. Share posts from the Blog! 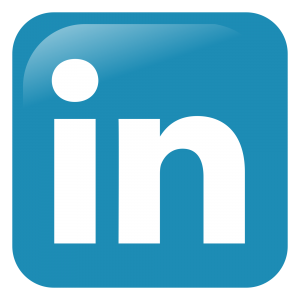 If you’d like to share any of the posts on the Blog with colleagues, friends, the public, you can do this quickly and easily via Twitter, Facebook, LinkedIn, email (plus many more!) using the Share This function at the end of each Blog post. Sharing posts this way helps to promote the excellent work going on at BU and can also help you to establish networks with likeminded people. Researchers, Mark Reed and Anna Evely from one of the LWEC accredited Rural Economy and Land Use projects have produced a clear “top tips” guide to twitter for academic staff. Although based on their own experiences on the Sustainable Learning and Uplands Project and intended to help other academics to disseminate their work, the “Twitter Tips” guide could be used by anyone. A Twitter account set up for specific research projects can be an excellent way to disseminate your research findings further afield than just the academic community, however using twitter well is a skill that needs to be developed. This is a really simple 12 page guide to using Twitter in an effective way. Every time you do a conference/workshop/seminar presentation, put your slides online (e.g. using SlideShare) and tweet them. Contact relevant people with large followings to ask if they can re-tweet key messages you’ve sent – tweet or Direct Message them via Twitter. If someone gave you the information credit him or her with it, either by using @person1 (if they are a twitter user) or as a quote in text. Get to know when your followers are most likely to read your tweets – most academics who use Twitter for work purposes only tweet 8-5 pm Monday-Friday.